The DC Comic book hero has been brought to life on the reels of Batman: The Dark Knight video slot machine from Playtech. 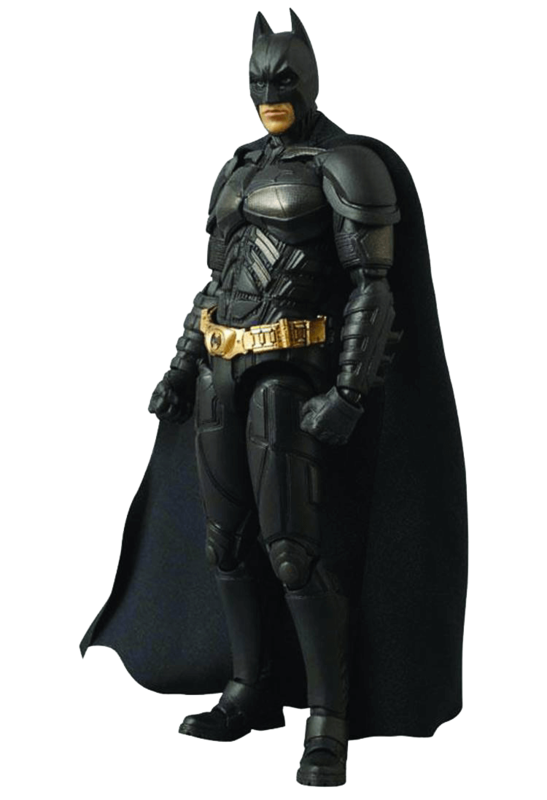 Fans of the dark hero will know that he has the duty to protect the residents of Gotham City from evil – an evil that comes with the black of night. The Dark Knight slot machine is part of the DC Comic network of slots, which Playtech have created; all of which have four progressive jackpots that can be won on any spin! Based upon the 2008 smash hit movie of the same name, The Dark Knight slot follows Batman (aka Christian Bale) as he tries to keep a tight lid on crime in the city, but when a young criminal who calls himself the Joker (Heath Ledger) suddenly appears on the streets, all hell breaks loose and the caped crusader must fight to stop the chaos unfolding throughout the city. The action-packed feature film makes for a superb online casino slot, one featuring 6 reels and 50 win lines. The interactive bonus features at The Dark Knight video slot will draw you into the game, thanks to many bonus games, wilds, free spins and a progressive jackpot game with four jackpots waiting to be won. Bets start at 0.15 and can be increased to a maximum of just 15.00 a spin – allowing players with even the smallest of budgets to try their luck. There is a maximum base game win of 1,500x your stake – generous enough on its own, without the possibility of bagging life-changing cash in the progressive jackpot bonus game. Players are guaranteed a great time playing and with images depicting the characters from the actual movie, it’s a video slot that offers more than just great gameplay. There are many features to trigger, plenty of ways to win big – so knowing how to benefit from this slot machine is vital – read our review to see which of the features are the most rewarding and find out what we really think of it! The Dark Knight slot is available as a free play demo, offering players the chance to witness first-hand the rewarding features on offer. Play for free to see how the reels fall, which symbols appear most often and just how long it takes for the bonus features to come into play – all without spending any cash. Experiment with the bets and play with more than you usually can afford, all without risking your own capital. The Dark Knight slot machine will take players into the heart of Gotham City, where darkness looms overhead. The 6×4 reel formation is encased in metal and is suspended above the city as if to give players a bird’s eye view of the city street below. To the top left and right of the slot machine is where you will find the four progressive jackpots, each ticking over with every spin you take. The control panel is almost futuristic in its design – use the 3D buttons to set your bet and bring the Autoplay and turn modes into play. Autoplay allows you to sit and watch the reels spin automatically, from 10 to 99 spins or choose ‘until the feature’ – allowing the reels to continue spinning at your current bet, until any of the bonus features are triggered. Turbo is a fast and furious option, where reels spin much faster than usual – which means your cash will reduce much quicker than normal too. Bruce Wayne (Christian Bale) offers a top prize of 250x your stake. Rachel Dawes (Maggie Gyllenhaal) has a top multiplier of 200x. Two-Face (Aaron Eckhart) with a 100x multiplier. Jim Gordon (Gary Oldman) triggers a 90x multiplier for a win line of matching symbols. Card value A has a multiplier of 85x. Card values Q and K award up to 75x your stake. Other symbols are; the game logo encased in metal, which of course features a bat, a bat in a blue orb plus a green bat in a green orb – all of which offer more than just base game wins. The Dark Knight Free Games: the blue bat symbols appearing on reels 2 and 3 will trigger a coin pay out and the 7 free games. All Batman symbols will turn wild and lock to the reels after landing – this means that Batman symbols will remain locked in place for the duration of your free games. In this feature, the wild and Batman logos will pay as a Batman symbol, where wins are higher. Batman Re-spins: Stacked Batman fills reel 1 and all Batman symbols and wild symbol will lock onto the reels and a coin is tossed. The blue coin will cause the reels to spin again and any new Batman or wild symbols will also lock into place. An amber coin will result in a pay out from the spin. This feature ends automatically after 8 re-spins. When both reels 1 and 6 are filled with stacked symbols, the first coin toss determines which characters locks for the re-spins. The Joker Re-spins: Stacked Joker symbols fill reel 6 and all Joker and wild symbols will lock on the reels and a coin is tossed – in a similar style to the Batman Re-spins feature, but in reverse. An amber coin will cause the reels to spin again and any new Joker or wild symbols will also lock in place. A blue coin will award a pay out from the spin. This feature ends automatically after 8 re-spins. When both reels 1 and 6 are filled with stacked symbols, the first coin toss determines which characters locks for the re-spins. Agent of Chaos Free Games; A green bat logo in reels 4 and 6 will trigger this feature. Seven free games are awarded and Joker symbols become extra-large symbols – colossal symbols to be exact, with varying sizes. Extra large symbols of random sizes can land on all reels and create chaotic wins. Gotham City Free Games; a blue bat symbol on reels 2 and 4 and a green bat symbol on reels 4 and 5 will trigger 7 free games. Batman symbols are wild and lick to the reels after landing. Extra large Joker symbols of random sizes can land on all reels for a massive chaotic win. When a large Joker overlaps a locked Batman symbol, it becomes wild and unlocks it. In this game, wilds, Batman and Joker combinations will pay as a Batman, where the win is higher. Now for the progressive jackpot bonus feature. Any spin of any amount in this video slot can trigger the jackpot games, including spins resulting in no wins. The higher the bet, the greater the chance of triggering the jackpot game. Triggering the jackpot game guarantees a win of 1 of the 4 featured jackpots. How to play: There are 20 jackpot icons on the jackpot game screen, including an icon that will reveal 1 of 4 jackpot symbols – each corresponding to a different jackpot. The green jackpot area requires two symbols and awards the mini jackpot. The blue jackpot area requires three symbols and awards the minor jackpot. The yellow jackpot area requires four symbols and awards the major jackpot. The red jackpot area requires five symbols and awards the grand jackpot – the biggest of them all! The Dark Knight slot can be played on mobile devices, thanks to HTML5 technology. When launching the game, you can choose to play in landscape or portrait mode, but you’ll get a better screen when playing in the landscape, as it expands to fill the entire screen. Swipe upwards to launch the game and choose whether to enable sounds or not – we suggest having them on, as it draws you into the game! You’ll notice that the layout is identical in every aspect to the desktop game, even down to the control panel and spin buttons. Usually, mobile optimised slots feature a larger spin button and a compact control panel – but not here. Kudos to Playtech because The Dark Knight slot machine is absolutely fantastic! This popular online slot has been enjoyed since launching in the summer of 2012, but why? Players enjoy The Dark Knight slot release due to many different bonus features and the possibility of trigger life-changing sums of money. Whether you consider yourself to be a seasoned pro when it comes to playing online slots or you’re a newbie trying slots for the first time; you will find nothing complicated about this slot machine. Of all the features on offer, the progressive jackpot game is the most rewarding, but with a guaranteed win at the end of it – you’re unlikely to get your hands on this. Next up is the Gotham City Free Games – this feature can award eyewatering cash prizes, thanks to huge Joker symbols colliding with the Batman. There is definitely a battle going on on the reels and you will get to witness the action unfold, regardless of the value of your bet. With an RTP of 97%, this medium to high variance slot will throw out low value wins on regular occasions, but those features will be a lot harder to trigger. Persistence will pay off in the end, but as long as your bankroll can cope with sustained periods between big wins. Oh, one other thing we almost forgot to mention – this slot machine pays in both directions, so you won’t only find wins flowing from left to right, but wins can be triggered from right to left too -which gives you even more chance of landing a win! When using turbo mode, the reels will fall 1 second quicker than normal, but if you’d like it to spin quicker, you can double click that spin button on standard or turbo play for the same effect.